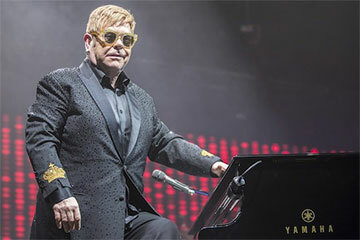 Elton John is performing at the Amway Center in Orlando, Florida on Monday, March 18, 2019. Elton John is an English singer, pianist, and composer. 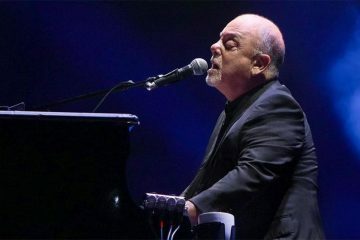 He has worked with lyricist Bernie Taupin as his songwriting partner since 1967; they have collaborated on more than 30 albums. John has sold more than 300 million records, making him one of the best-selling music artists in the world. 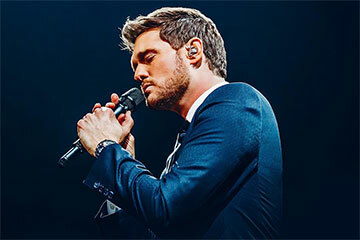 He has more than fifty Top 40 hits, including seven consecutive number one albums in the U.S., 58 Billboard Top 40 singles, 27 Top 10, four which reached number two and nine which reached number one. His tribute single “Candle in the Wind 1997”, rewritten in dedication to Diana, Princess of Wales, sold over 33 million copies worldwide and is the best-selling single in the history of the UK and U.S. singles charts. He has also composed music, produced records, and has occasionally acted in films. 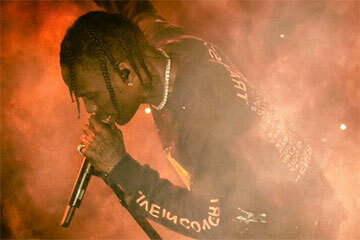 Travis Scott is performing at the Amway Center in Orlando, Florida on Friday, March 15, 2019. 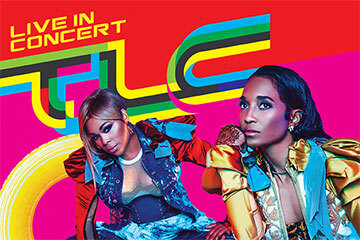 In 2012, Scott signed his first major-label deal with Epic Records. In November of the same year, Scott signed a deal with Kanye West’s GOOD Music, as part of its production wing Very GOOD Beats, after appearing on the label’s 2012 compilation album Cruel Summer. In April 2013, Scott signed a record deal with T.I.’s Grand Hustle imprint. Scott’s first full-length project, a mixtape titled Owl Pharaoh, was self-released in May 2013. This was followed with a second mixtape, titled Days Before Rodeo, in August 2014. His debut studio album, Rodeo, was released in September 2015 and was led by the hit single “Antidote”, which reached the top 20 of the US Billboard Hot 100 chart. His second album, Birds in the Trap Sing McKnight, was released in September 2016, to generally positive reviews. The following year, Travis Scott released a collaborative album with Quavo titled Huncho Jack, Jack Huncho under the group name Huncho Jack. He released his third album, Astroworld, on August 3, 2018; it produced his first Hot 100 number one single, “Sicko Mode”. 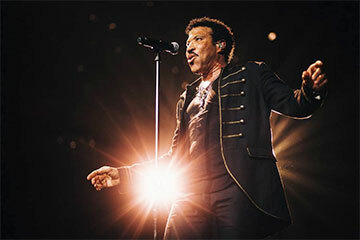 Lionel Richie is performing at the Amway Center in Orlando, Florida on Saturday, March 9, 2019. Richie has sold over 90 million records worldwide, making him one of the world’s best-selling artists of all time. He has won five Grammy Awards including Song of the Year in 1985 for “We Are the World” which he co-wrote with Michael Jackson, Album of the Year in 1984 for Can’t Slow Down, Producer of the Year (Non-Classical) in 1984 and Best Male Pop Vocal Performance for Truly in 1982. Richie has also been nominated for two Golden Globe awards and won one. In 1982 he was nominated for Best Original Song for the film Endless Love. In 1986 he was nominated and won the award for Best Original Song for the song “Say You, Say Me”, featured in the film White Nights. The song also won the Academy Award for Best Original Song. In 2016, Richie received the Songwriters Hall of Fame’s highest honor, the Johnny Mercer Award. 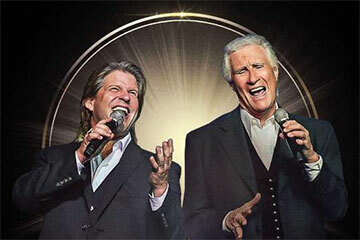 The Righteous Brothers are performing at the Dr. Phillips Center for the Performing Arts in Orlando, Florida on Saturday, January 19, 2019. The Righteous Brothers were originally an American musical duo of Bill Medley and Bobby Hatfield. They began performing together in 1962 in the Los Angeles area as part of a five-member group called the Paramours, but adopted the name “The Righteous Brothers” when they embarked on their recording career as a duo. Their most active recording period was in the 1960s and 70s, and although the duo was inactive for some years, Hatfield and Medley reunited in 1981 and continued to perform until Hatfield’s death in 2003. 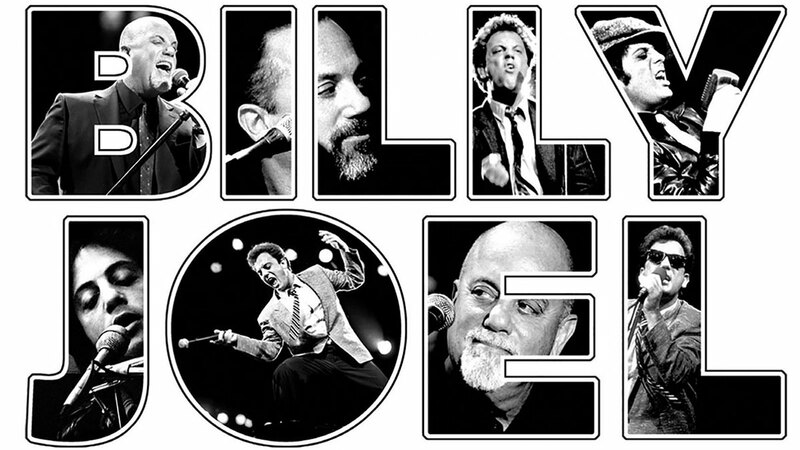 Their emotive vocal style is sometimes dubbed “blue-eyed soul”. They had their first hit with the 1964 song “You’ve Lost That Lovin’ Feelin'”, produced by Phil Spector and often considered one of his finest works. Other notable hits include “Ebb Tide”, “Soul and Inspiration”, “Rock and Roll Heaven”, and in particular, their version of “Unchained Melody”. Both Hatfield and Medley also had for a time their own solo careers. In 2016, Medley reformed The Righteous Brothers with Bucky Heard and they continue to perform as a duo. 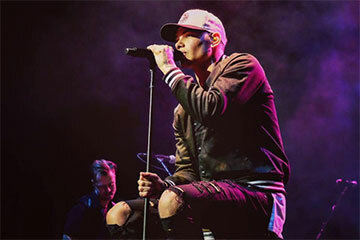 Kane Brown is performing at the Amway Center in Orlando, Florida on Saturday, January 26, 2019. Kane Brown released his first full-length album, the self-titled Kane Brown, on December 2, 2016. The single “What Ifs” was released from this album and, in October 2017, Brown became the first artist to have simultaneous number ones on all five main country charts. Brown released his second album, Experiment, in November 2018. Latin salsa superstar, Marc Anthony, is performing at the Amway Center in Orlando, Florida on Sunday, January 27, 2019. 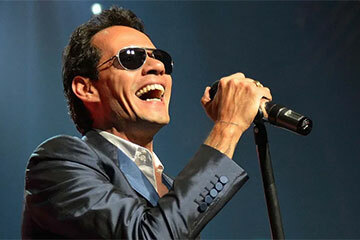 Marc Anthony, is an American singer, actor, record producer and television producer. Anthony is also the top selling tropical salsa artist of all time. 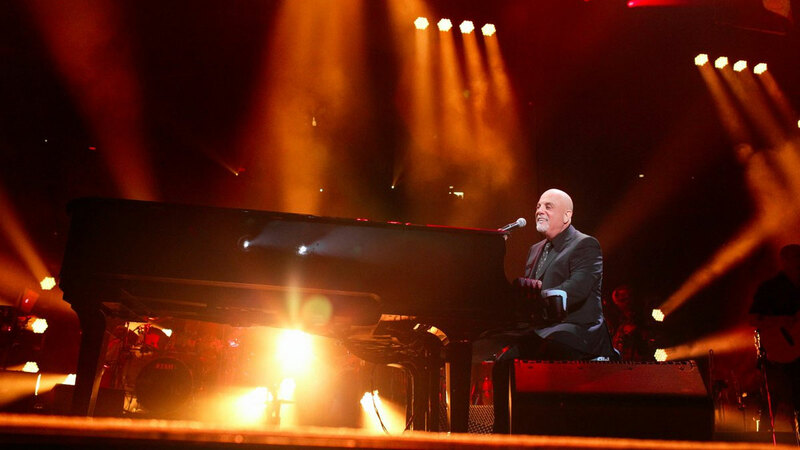 The two-time Grammy Award and five-time Latin Grammy Award winner has sold more than 12 million albums worldwide. He is best known for his Latin salsa numbers and ballads. Anthony has won numerous awards and his achievements have been honored through various recognitions. He was the recipient of the 2009 Congressional Hispanic Caucus Institute (CHCI) Chair’s Award. He also received the “2009 CHCI Chair’s Lifetime Achievement Award” on September 16, 2009. 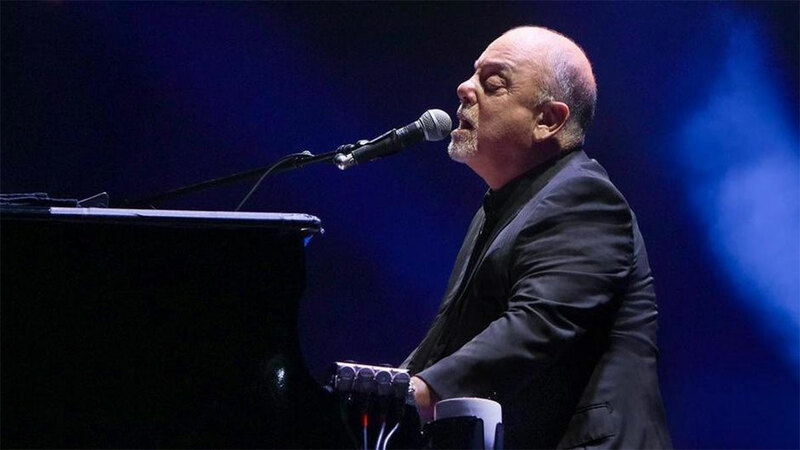 He holds the Guinness World Record for best-selling tropical/salsa artist and the most number-one albums on the Billboard Tropical Albums year-end charts. 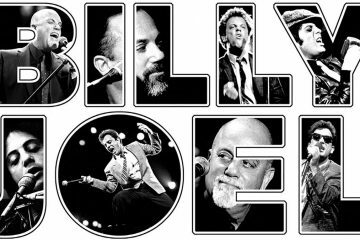 Legendary musician Billy Joel is perform at the Amway Center in Orlando, Florida on Friday, January 11, 2019. 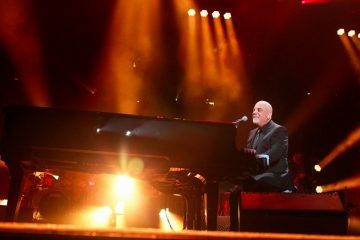 Across the 20 years of his solo career, Joel produced 33 Top 40 hits in the US, all of which he wrote himself, and three of which (“It’s Still Rock and Roll to Me”, “Tell Her About It”, and “We Didn’t Start the Fire”) managed to top the charts. 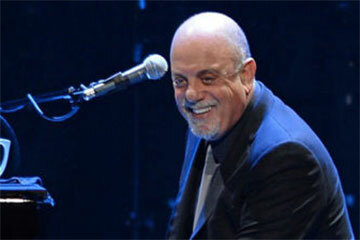 He is also a six-time Grammy Award winner who has been nominated for 23 Grammy Awards. With over 150 million records sold worldwide, he is one of the best-selling artists of all time as well as the sixth best-selling recording artist and the third best-selling solo artist in the United States. His 1985 compilation album, Greatest Hits Vol. 1 & 2, is one of the best-selling albums in the US. 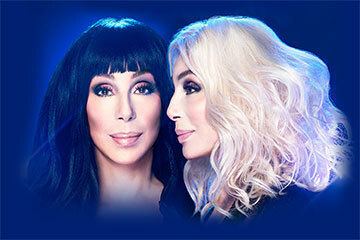 The one and only, Cher, is visit Orlando’s Amway Center on Monday, January 21, 2019. Cher is traveling on her “Here We Go Again Tour” and will perform many of her hits along with some new songs from the “Dancing Queen” album – Cher’s tribute to the music of ABBA. Cher has won a Grammy Award, an Emmy Award, an Academy Award, three Golden Globe Awards, a Cannes Film Festival Award, a special CFDA Fashion Award, and a Kennedy Center Honors prize, among several other honors. She has sold 100 million records worldwide to date, becoming one of the best-selling music artists in history. She is the only artist to date to have a number-one single on a Billboard chart in six consecutive decades, from the 1960s to the 2010s. Outside of her music and acting, she is noted for her political views, philanthropic endeavors, and social activism, including LGBT rights and HIV/AIDS prevention.